Books about shoes – our top picks, and then some. What’s the next best thing to reviewing shoes? Reviews of books about shoes, we say. What if you have more than a passing interest in the footwear industry? You frequently devour information on the latest footwear releases, know the basic history of your favorite shoe brands, and religiously read detailed shoe reviews. But given your high level of interest, you know that the current reading regime simply doesn’t cut it. If you’ve been reading our reviews regularly, then you’d have noticed that we often refer to the history of a particular model, technology or trend. Every time you read an interesting fact on this site, know that most of it comes from solereview’s library of footwear related literature. 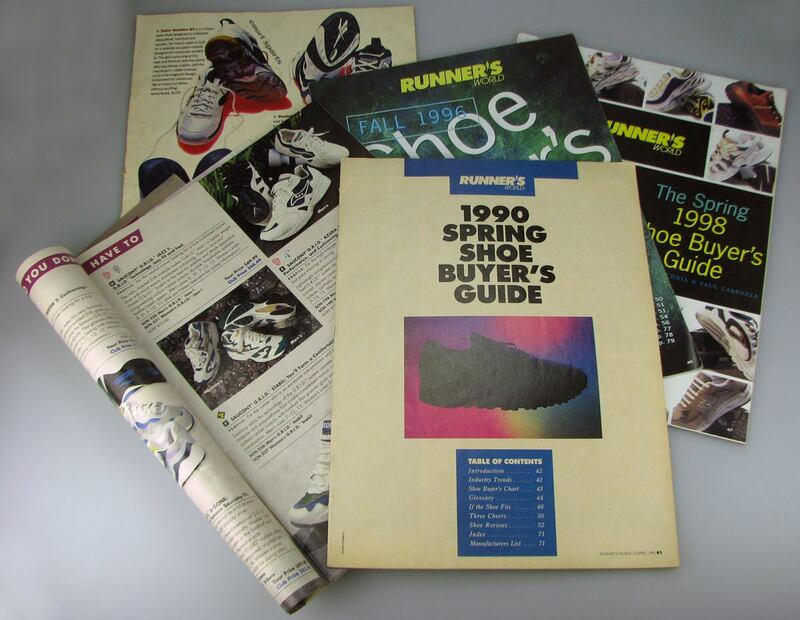 We’ve got Runnersworld shoe guides from as early as 1990, printed mail order guides from roadrunnersports, magazine ad clippings, stacks of 90s US retailer sales catalogs and a collection of different books on footwear. Some of the pre-internet guides are extremely helpful to identify shoes which aren’t digitally archived. But hey, not everyone is going around collecting vintage footwear literature. What somebody needs to do is to compile a list of recommended books about footwear. And that somebody has to be solereview because we haven’t seen anyone else do it. 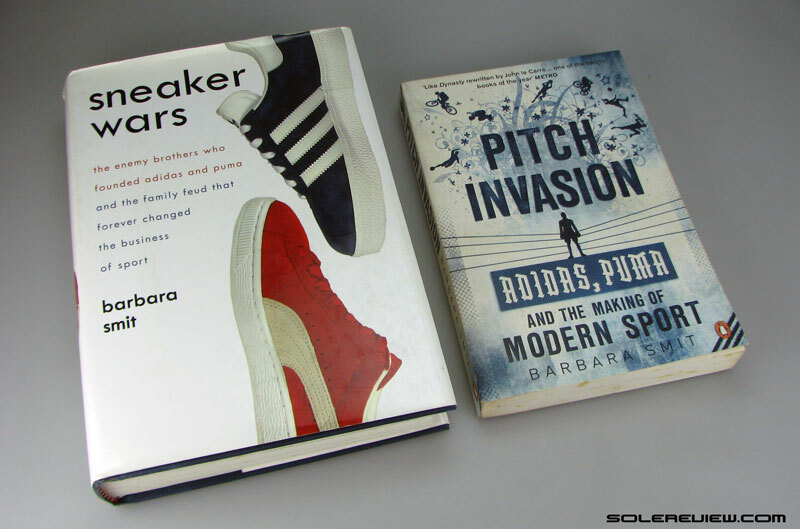 Here’s our recommended list of books on shoes – skewed towards the sportswear industry in general. 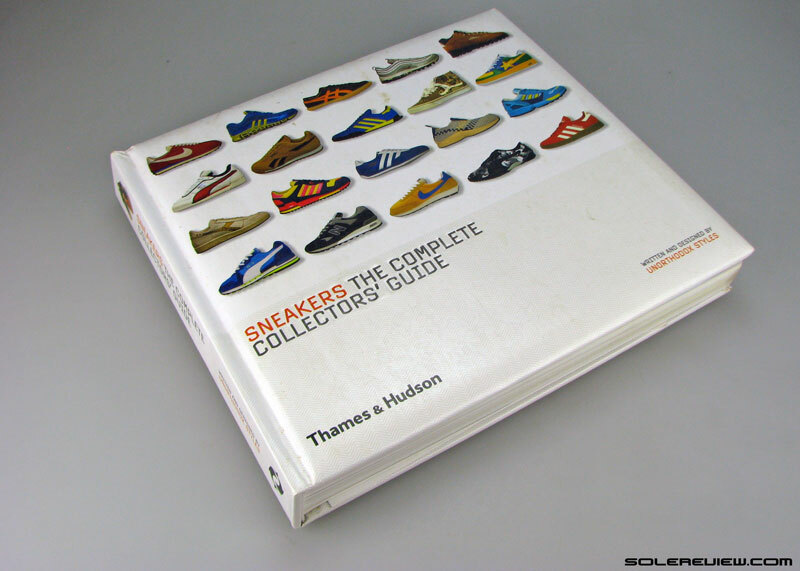 This guide is divided into two parts; books #1 to #5 cover the history of shoes and brands. 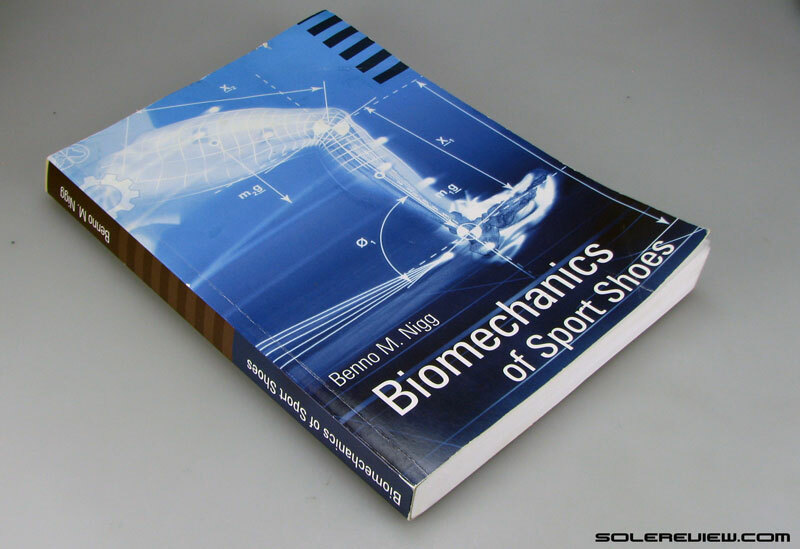 Books #6 to #13 go a little deeper and cover advanced topics such as footwear biomechanics and sports marketing. If we had to pick just two books out of the entire list, then this would be one of them (the other being Sneaker Wars). This book isn’t just about the historical evolution of footwear; it is also a critique on the latter’s cultural significance. From footwear’s symbolic value in classical Greece to its place in Chinese and Japanese culture, the book examines footwear from a multitude of perspectives. There is only a single chapter dedicated to athletic shoes, but you’ll still be interested in reading how the World War I laid the foundation for modern day sports footwear. During that period, not only did footwear evolve from being a cottage industry produced commodity to an industrial product, but innovations such as the Munson last laid the foundation for the fit of modern day athletic footwear. This book is also full of amazing photographs, borrowing heavily from Bata shoe museum’s collections. Today Nike is the largest sportswear brand, but it wasn’t always that way. Long before Nike’s rise, two German brands battled it out for the share of the sportswear market – adidas and Puma. 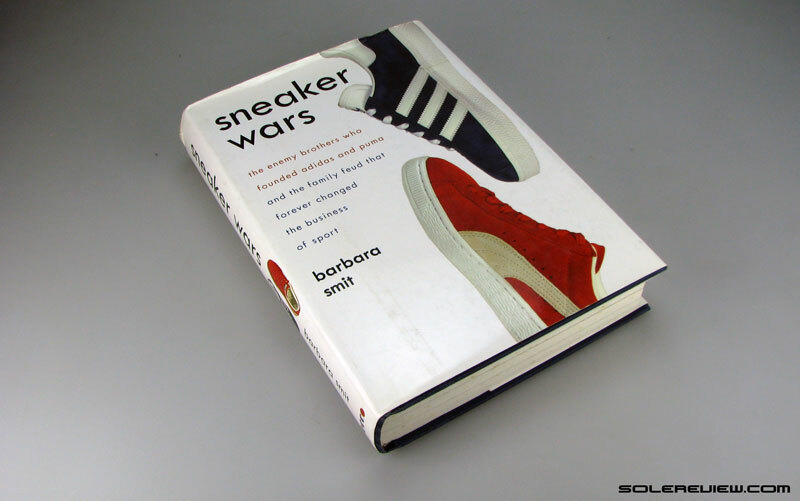 It is worth noting that Sneaker Wars is the only book which covers the complete timeline from an industry perspective. Right from the Dassler brothers’ humble beginnings in the 1920’s to recent events such as the 2008 Beijing Olympics – Sneaker Wars chronicles the evolution of the modern day sportswear industry like no other book. If you had to buy just one book to understand how this industry came to be today, then this is it. Brands like Nike and Reebok make their appearance too, so know that Sneaker Wars isn’t just about adidas and Puma. There’s another book by the same author called the ‘Pitch Invasion.’ It’s a paperback (and earlier) version of Sneaker Wars, as it tells the same tale in a slightly different tone. The way we see it, Sneakers Wars is an improved version of Pitch Invasion. Buy the latter only if you like the convenience of a compact paperback. Till recently, there were only two books which told the story of Nike in detail. One is ‘Swoosh’ by Strasser/Becklund, and the other is ‘Just do it’ by Donald Katz. Interestingly, both these books were published around the same time (1993/94). We prefer the Swoosh because it’s a better read. This year saw the release of an official memoir by Phil Knight, the co-founder of Nike. If you’ve read the book ‘Swoosh,’ then the storyline will feel familiar. There are a couple of significant differences between the two, however. 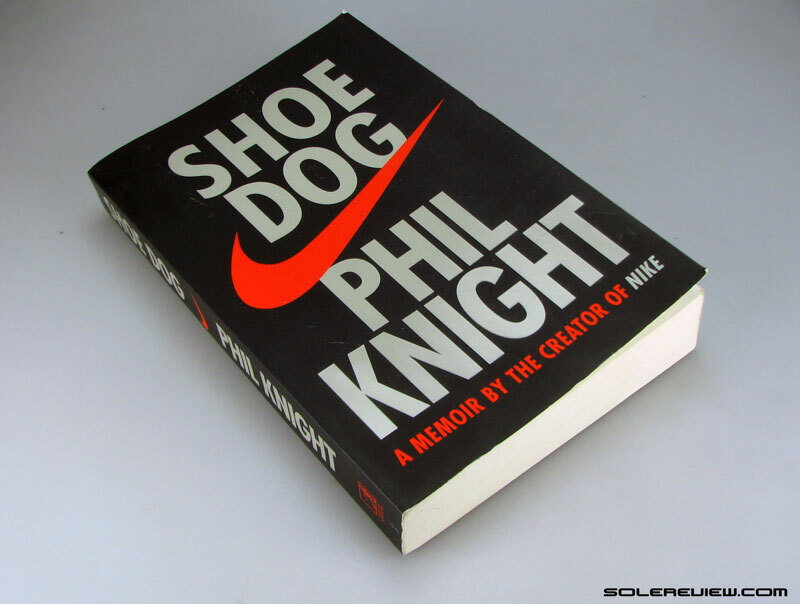 Shoe Dog is (mostly) a first person narrative which is as much the story of Phil Knight as it is of Nike. The ‘Swoosh’ uses a third person narrative style, drawing on sourced anecdotes and Rob Strasser’s (ex-Nike employee) personal experiences. Swoosh also spans across a longer timeline (till 1991) in the brand’s history, whereas Shoe Dog’s story ends just around the time when Nike went public in the mid-eighties. It would have been ideal for ‘Shoe Dog’ to have covered Nike’s story up to present day, or till the time Phil Knight was last the CEO of Nike. A few pictures in the book would have been nice too. The book ‘Swoosh’ has a few pictures, and it adds a lot of value to the narrative. What Shoe Dog lacks in pictures or timeline span, it makes up with its brilliant writing style. The book is an engrossing read, regardless of your level of interest in the footwear industry. This one is for sneaker-heads. 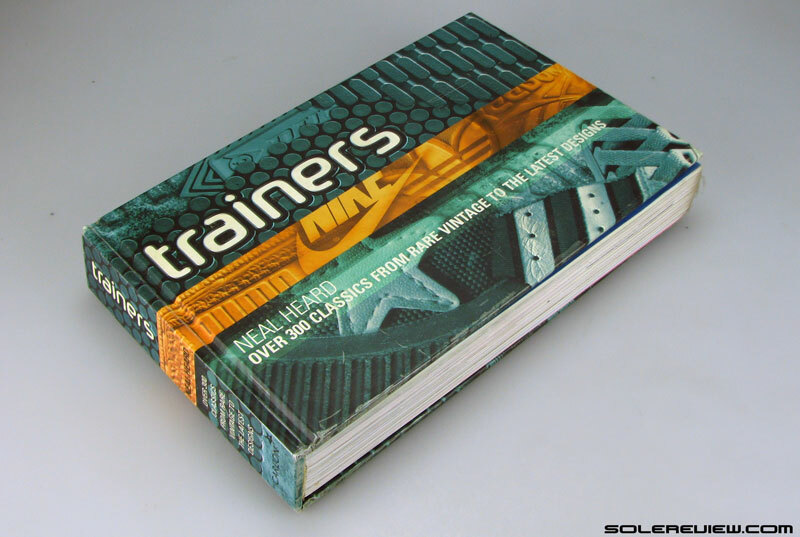 While there are many sneaker guidebooks, ‘Trainer’ is unique in a few ways. Firstly, the author Neal Heard is British – and hence the name ‘Trainers’ instead of ‘Sneakers’. That means the book covers sneaker culture from a British and North American viewpoint. For example, the football/soccer casual flat culture has always been a UK/European phenomenon and completely ignored in the United States. As a result, the book includes commentaries based on the dual cultural influence(s) of European football and the US hip-hop. Most books and documentaries miss this and tend to view the sneaker culture with a US lens only. Besides, ‘Trainers’ has interviews with sneaker collectors and has more than 600 native photographs covering over 300 different sneaker models. Not sure if the book design has changed (ours is vintage 2003), but the shape is a bit inconvenient to read. The sneaker collector interviews are printed in a portrait format, which means that you’ll have to turn the book around to read. That minor nitpicking aside, Neal Heard’s ‘Trainers’ is a book which has just the right amount of detail. It covers a lot more than just sneaker models and does so in an easy to read and compact style. Within the sportswear industry, there are four categories where the product (footwear) and the underlying culture are inextricably meshed together. You have running and basketball, of course. Football is a separate sub-culture. Skateboarding isn’t usually a topic of mainstream discussion, but the history of athletic footwear isn’t complete without it. From a historical perspective, skateboarding footwear has always run tangential to the rest of the industry. While the evolution of other categories had the involvement of ubiquitous brands like adidas, Nike, Puma and Reebok, the skate footwear industry has always been served by a few niche players. It has been notoriously hard for other brands to break into this category. Even after six decades of skateboarding, only a single brand – Vans – dominates the category. Other players are few and between, existing only on the fringes. adidas, Converse and Nike have been persistent in their attempts to capture market-share, but so far their efforts have yielded limited success. The book title contains the word ‘illustrated’ for a good reason. Lots of images combined with text makes the book an easy and enjoyable read. 400 pages of high quality content cover the journey of skateboarding as a culture and the role of footwear within it. The book begins with the early roots of skateboarding, a movement which grew out of surfing and then into the mainstream. 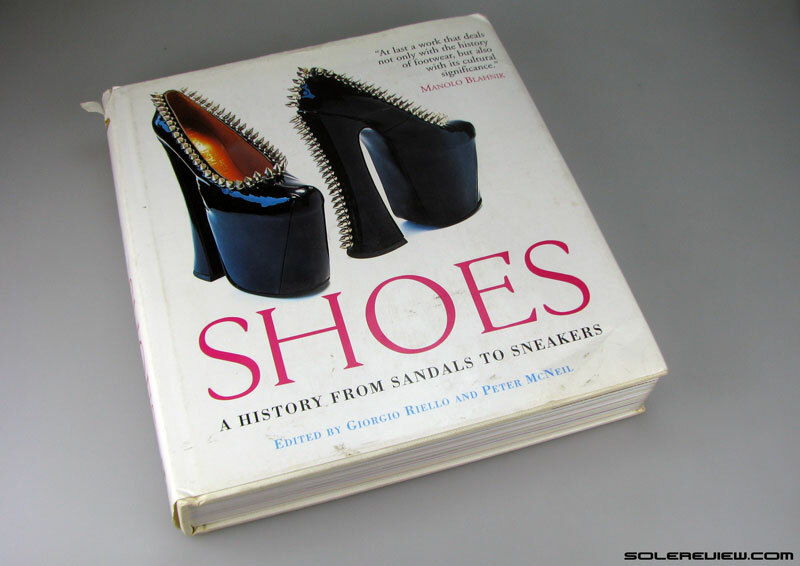 The narrative style used in this book is rather interesting – footwear is used as historical placeholders. As the book moves forward on the chronological timeline, skate shoes are used to represent the era. For example, the section covering the 60s decade is as much about the genesis of skateboarding as it is of Vans. The late 70s witnessed the transformation of the Nike Blazer (and later Dunks and Jordan 1’s) into an accidental skate shoe. And so forth. 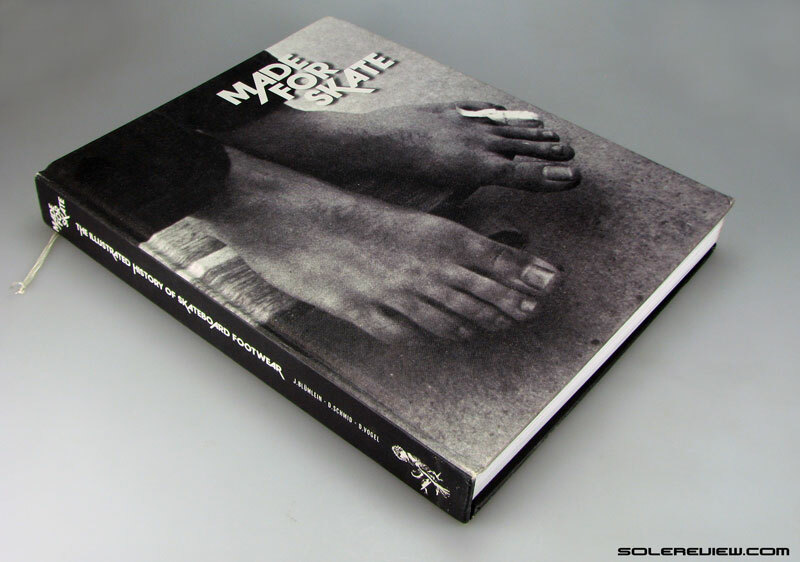 Even if you have zero interest in skateboarding, ‘Made for Skate’ is recommended reading for those who seek to understand the sneaker culture. And whether ones realizes it or not, skate inspired footwear has long been part of mainstream consumption. Need proof? Vans is a $2B brand today, and the going rate for the Nike Dunk SB ‘NYC Pigeon’ is $6,000 a pair. So there you have it. These five books cover enough ground to get you started. And what if you wanted to read more? Naturally, like any other subject, there is no dearth of footwear related literature. We recommend a few others just in case you’re interested. Also, consider watching the ‘Just for Kicks‘ video documentary – one of best ever made. Available as Amazon video or DVD. 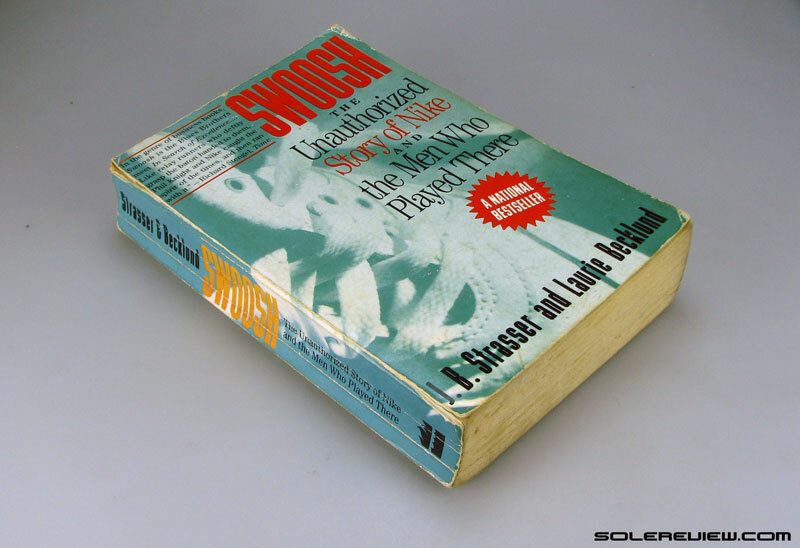 Till the ‘Shoe Dog’ came along, ‘Swoosh’ was the book to read if you wanted in on the story of Nike’s origins. 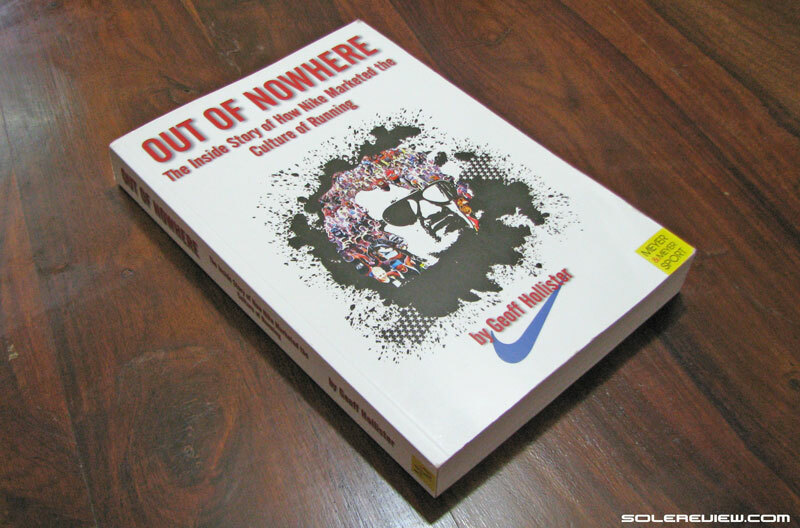 The fact that both the books (Shoe Dog and Swoosh) share many common stories is a testament to the fact that Swoosh is an authentic chronicle of Nike’s history – authorized or not. There are a couple of differences between the two books. The Swoosh contains pictures while the Shoe Dog does not, and ‘Swoosh’ spans a longer timeline. Shoe Dog is a memoir, which means that it contains a lot more personal detail about Phil Knight than the Swoosh does. For the best of both worlds, read both the Shoe Dog and Swoosh – in that order. This book was privately published, meaning it was meant for adidas’ internal use and distribution. It is printed in a coffee table book format and covers adidas’ history with pages and pages of gorgeous images. Given the book’s origins, the exclusive photographs are from adidas’ archives. Be it pictures of a young Kobe Bryant from the 90’s or how running shoes looked like in the 1930’s, the book is a treasure trove of material. adidas practically invented the athletic footwear industry as we know it, so getting a pictorial tour of its evolution is a treat. Naturally, this being an internal publication means that the book has a PR tone of voice. That said, you’ll come across sections of objective commentary. There’s this small issue of getting your hands on this book. We got our copy by hanging around adidas offices in the late 90s, but fret not. We did a quick search, and we found a few examples online. We found one on Amazon, and there are a couple on Abebooks and eBay. Get yours pronto before they’re gone – this book is a collector’s item. An ideal supplement to ‘Trainers’, this book gets down to business right away. 100% of its content just covers different sneaker models, accompanied with a brief background for each and hundreds of pictures. Again, this is a British publication so football casuals find their way in. We’ve been an admirer of Benno M Nigg ever since he published his first book in 1986. Athletic footwear has been extensively researched, but few authors have published collective findings in the form of a single book. This book does. Backed by Benno M Nigg’s four decades of research in this field, this book delves into the science behind athletic footwear. It covers topics such as impact forces, muscle tuning, the effect of inserts/orthotics and other footwear features on joint movement and many others. Be warned, though. The book is highly technical and written in an academic research style. At the very minimum, you need to have a good grip on high school/K-12 calculus+science to make the best use of this book. Being self-published, online availability of this book is limited. So do what we did – order it directly from Benno M Nigg’s lab at University of Calgary, Canada. This 1986 book is a precursor to Benno M Nigg’s latest book (reviewed above). 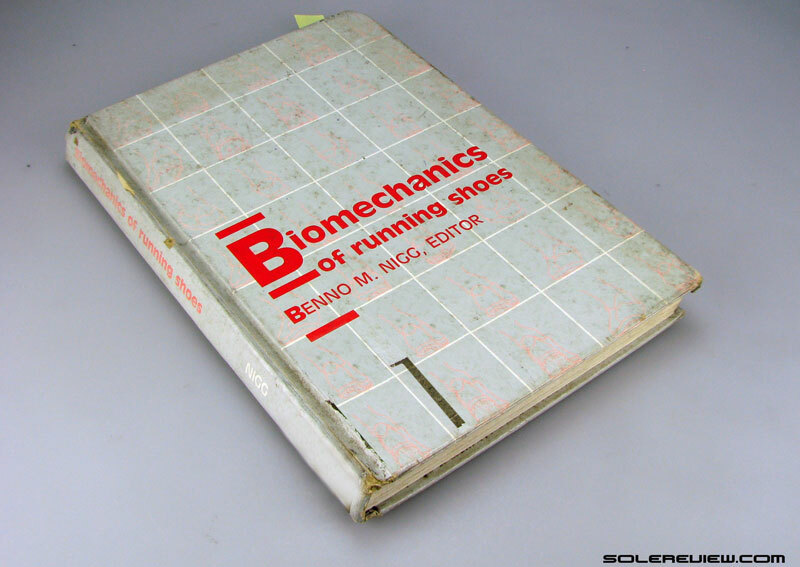 Running as a recreational phenomenon had just gone mainstream in the 70’s, and this book captures the then existing research done in the field of athletic footwear. It covers a broad set of topics ranging from impact forces to locomotor system loading and kinematic variables. This book is a great source if you’re interested in understanding the origins of ‘pronation control’ footwear. When you read the basis for the design (injuries caused by poorly designed footwear back then), you’ll realize that contemporary ‘stability’ or ‘pronation control’ shoes are unnecessary anachronisms. Again, K12 science+calculus skills needed for best comprehension results. Best read before the ‘Biomechanics of Sports Shoes’ if you plan to buy both. ‘Sports shoes and playing surfaces’ by EC Frederick is another vintage book on footwear biomechanics. Ok, there are a couple of things you should know about this book. One, it is written/curated by Doug Palladini, a current Vans Employee. Two, the book isn’t just about shoes alone. Footwear gets around 15% of dedicated print space; the rest is a collection of interviews and perspective on the action sports industry. 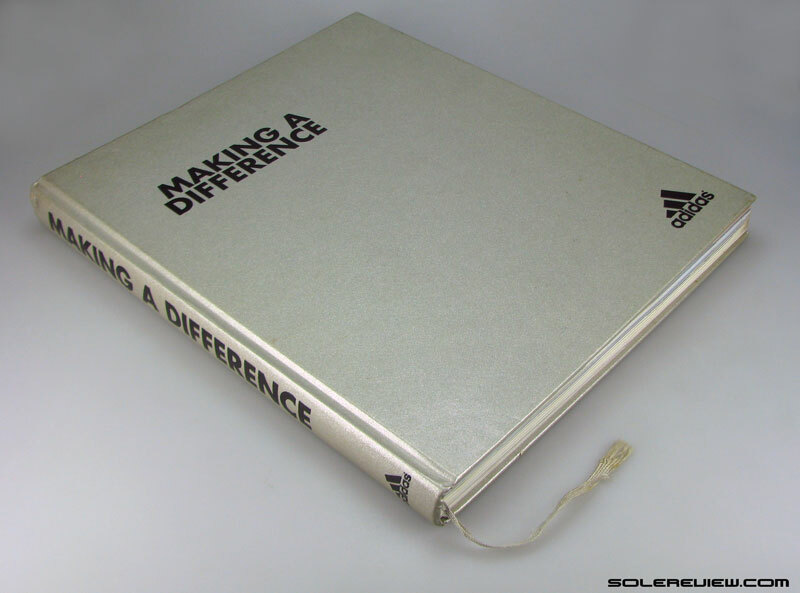 ‘Stories of Sole’ has shades of adidas’ ‘Making a difference’ book. In the sense that while there’s an overbearing PR tone, both the books contain details not found elsewhere. For example, Steve Van Doren (the son of Vans’ founder) still works in the company, and the book starts with his brief interview. That’s followed by conversations with Tony Alva, Steve Caballero, and other action sports greats. There are other interesting sections like the origins of the Warped Tour, or the making of ‘Fast Times at Ridgemont High’ from a Vans perspective. 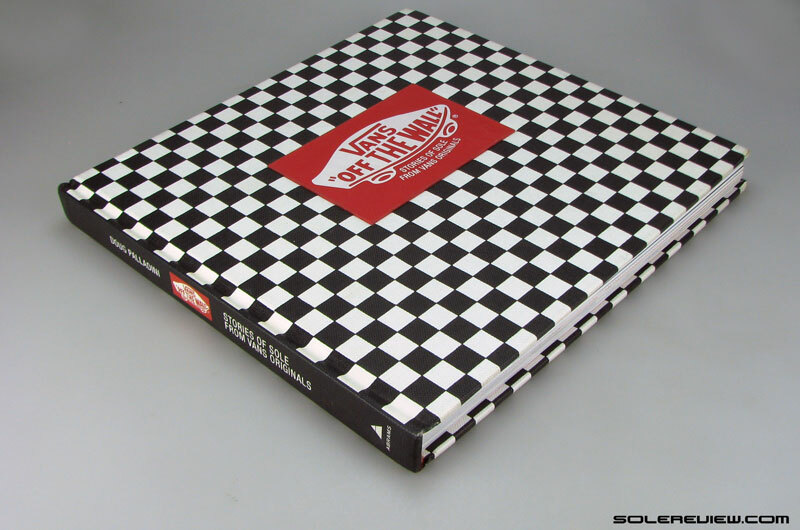 And the book jacket is pure genius; a rubberized Vans label on a checkerboard fabric channels the Vans’ Checkerboard slip-on. This is another book written by an ex-Nike employee, Geoff Hollister. Mind you; this is a very different book than the other two Nike books in the list. Except for a chapter on the America’s Cup and the subsequent making of the Nike Aquasock, the book is entirely about competitive running and Nike’s role in it. Out of nowhere is packed with incredible, granular details of the running culture. Be cautioned that this isn’t exactly an easy read; buy this book only if you’re interested in the sports marketing aspect of running. Otherwise, you’ll be good with any one of the other two recommended Nike books. This isn’t a book solely about sneakers, but rather a guide on the fashion sub-culture which is broadly classified as streetwear. 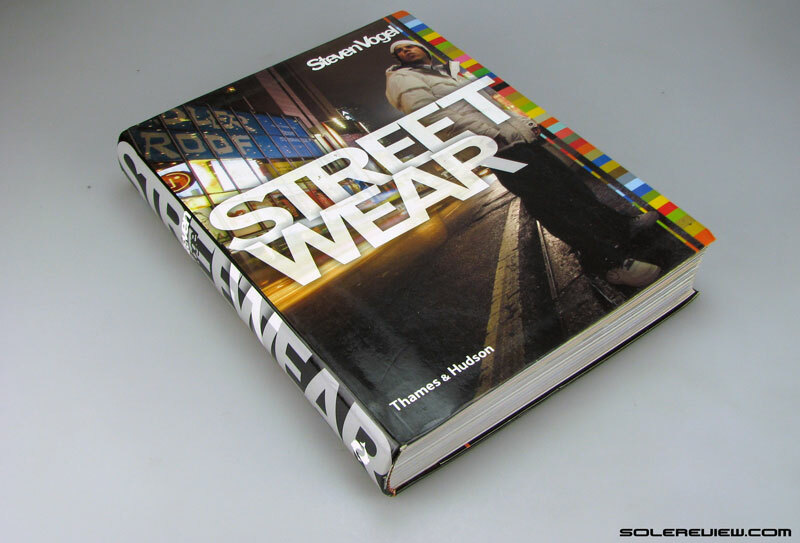 This book helps understand streetwear, and what drives some of its independent creators. Considering that there isn’t a single definition of what actually constitutes streetwear, it is insightful to read how different artists and labels interpret it. To most of us, the visible manifestation of Streetwear has been in the form of sneaker and fashion collabs. Heard about Stussy x Porter, Supreme x ANTIHERO, Undefeated x Casio G-Shock or Hiroshi Fujiwara as in Nike HTM? If you’re into any of that, then this book will make for engaged reading. Do you have a personal recommendation on other shoe books? Let us know in the comments section!